Update 1.1.7: Throw Down the Gauntlet! 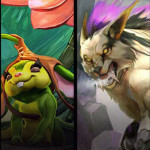 New Free Hero Rotation: Adagio, Joule & More! 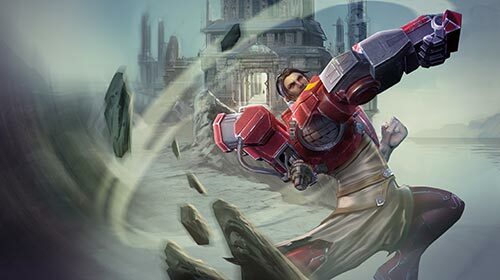 Ardan is the first in a trio of heroes with interwoven stories and gameplay synergies. Keep an eye on the in-game News section for more about the upcoming heroes. Ardan dashes to an ally, damaging and slowing nearby enemies while granting the target a burst of movement speed and a barrier which scales with Ardan’s bonus health. Any time the ally takes damage, Ardan gains vengeance. This ability can be used on Ardan, but the barrier, speed boost & vengeance gain is only half strength. Ardan leaps and punches his target. This deals crystal as well as weapon damage (that can crit) and applies basic-attack effects. Blood for Blood can only be activated when Ardan has 100% vengeance and will consume all of it. Your battles in the Halcyon Fold will have the soundtrack of your choosing. When you play your own music from an iOS-recognized source, Vainglory’s background music will automatically fade away. When you stop playing your own music, Vainglory’s background music will return. Sound effects will remain on as to not create a gameplay disadvantage, but you can adjust or mute SFX volume in your iOS settings app. We won’t stop until you’re satisfied … and probably not then, either. Refined player skill rating system for more precise post-match elo gains and losses, based on multiple factors. Adjusted Party queue matchmakng to increase competitiveness. We continue to improve matchmaking based on your valuable feedback. Please share with us your new experiences in the forums or email us at support@superevilmegacorp.com. Leavers should only play with other leavers. Your pleas are very much heard. Let us know if these AFK changes make a difference in your life. We hate AFKs as much as you do! TheRealKrul worked some wizardry on this one. We’ve reduced the amount of network traffic Vainglory requires by up to an epic 70 percent (individual results will vary). This will improve network performance and reduce the likelihood of lag. “We are constantly working to help make communication in Vainglory work better and better for you, and we saw how frustrating it was to have both a Party Chat conversation going and miss what your friends were saying because you didn’t see a new message come in. To fix that, we’ve implemented two things: The first is an incrementing tag next to the button where the new conversation has updated and second, you’ll get a notification that you can tap on to go to that particular chat. Chatting to each other should just feel better now too as there were lots of usability improvements in Chatting in general including a keyboard that’s easier to minimize and will now remember what you were saying when you minimize the keyboard and move around the app. “We’ve also implemented auto-complete and word suggestion to make it much faster to type accurately. Another great help is the messages in your Chat log won’t be covered by the keyboard as you type, which is a massive aid when talking back-and-forth with your friends. While typing, you can now see the most recent messages in friend chat. Chat will remember what you were typing if you minimize the keyboard. The keyboard will now close when you tap outside the window. Added auto-correct functionality to speed up typing … and inspire hilarious autocorrect mistakes. You may now disable instant-message notifications through the Settings app on your device. This will be especially helpful for streamers and celebrities like CaptainNeato. “Setting up parties, especially Private Matching was terribly confusing as it was previously set up. We had you making team comps in the wrong stage of match making, and we’ve fixed that. It’s now an intuitive drag-and-drop action that the team captain does to arrange the teams. (No more swap teams button! Yeah!). Moved the party team assignment out of the character select screen to where you can chat with the members of your party. The team captain can drag and drop members to either team freely. We hope the Party feature is much easier to use now … no more SWITCH TEAMS madness! Joule was still too weak. That ends now. Stun duration increased from 0.5 to (1.1 / 1.2 / 1.3 / 1.4 / 1.7). Stun/knockback area increased by 20%. Can now stack from attacking turrets. Thunder Strike stacks take longer to expire (now 10 seconds; was previously 7 secs). Increased her base shielding from (22 – 88) to (22 – 104.5). Maintaining an advantage was nearly impossible in the late game. Damage changed from 3%/6%/9% per stack to 2%/4%/6%/8% per stack. Benefits from the same amount of shield piercing as Dragon Breath (gains (15 / 30 / 45%) shield pierce when you level his ultimate). Damage from this ability now has +15 / 30 / 45% shield pierce. Gains 50 armor & shield during entire ability. Was frightening on ranged heroes and ineffective on some melee heroes. Changed from +12 weapon to +9. Now +15 if melee. Dat four-Fountain Adagio … I mean, come on! +13 health regen stat removed; changed to a new passive: Regen 1% of max health per second when not in combat with enemy heroes (same for Lifespring). Changed active from: “Heal 6 health per % missing health over 4 seconds” to “Heal 2 health per % missing health each second for 3 seconds.” You will heal faster, but it will reassess your health each tick of the heal — instead of just once at the beginning. Price increased to 2100 (from 1900). Shifted Frostburn’s slow from 35%, to 15% with an additional 1% for every 10 Crystal Power. 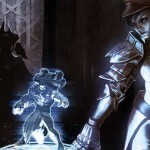 What follows are player-reported issues and feedback that we are actively working to address. It will take time, but we wanted you to know that we know … and care. Our work on this front will not stop. It’s perhaps our most important commitment to you. All of these points of frustration actually have the same deep-rooted source. The good news is that means they all have the same solution and will likely be resolved in one fell swoop. The bad news is it’s a particularly nasty gremlin that we can’t resolve without putting all gameplay at risk. We know what to do, but it will require major QA cycles to ensure no unintended consequences — and we didn’t want to slow down the release of Ardan or other features. That being said, we need to bite the bullet on this and resolve these very real and very annoying issues. Actually, also same solution as above! We know. We care. Note: Stutter Stepping is a part of the game and isn’t going away. But changes we are working on will ensure stutter stepping is fair and consistent — and then skill will rule. We’re not ready for true competitive play until every match is a level playing field. As we observe players manufacturing their own early tournaments, resolving this becomes a higher and higher priority for us. There are just a lot of competing features and changes we want you to have, and we are a very small team. We’re cooking up some super-secret stuff that we think you’re going to be REALLY excited about. Stick with us. It’s coming! On our radar, but we’re still thinking through this experience. All these 1v1 and 2v2 tournaments popping up are both amazing and frightening. We want tournaments to capture the full 3v3 Vainglory experience, so this is certainly lighting a fire under us and this feature! Hear that, TheRealKrul?! The next step in this process is on Kraken’s screen right now. But we know you also want to see much deeper player data. Right now, the best place to look is the VaingloryFire wiki, but we know that’s not good enough if you have to leave the app. We are working on more forms of social without (we hope) introducing too much toxicity. This is a delicate balance that we are very much dialed into. I CAN’T PLAY ON MY iphone 5 or my android device! There are non-jailbreak workarounds for iPhone 5 in the forums. We don’t have any news on Android at this time, but we definitely hear you. In progress. EdTheShred and Nansen just returned from a trip to Japan and Korea. Thanks for your patience! Fury has this in the works. Soon, Skaarf plushies and Super Evil hoodies!